More and more project managers are getting involved in selecting project management software tools. Which makes sense – after all, project managers are the people who will use the product on a day-to-day basis. They will also have strong views about what the software should do and how it can help them manage their projects. If you are asked to get involved in choosing new software for the team, what should you be looking for? Below I share my top 10 considerations for project management tools. They aren’t in order of importance, as what’s most important for one project may vary to the next. You may even think some of them aren’t important at all! Use this list as a starting point when assessing the software on the market that you would like to add to your shortlist. We have also reviewed the top 15 project management web applications for 2016. First, you need to make sure that whatever software you invest in is easy to use! It should go without saying, but some tools are very complicated and users require several days of training. The best product for you will be something that you find straightforward to use and that will suit your team. Many tools offer free trials so you’ll get to see what it is like working in the software before making the commitment to buy it. If you want to be able to manage your projects effectively, you’ll need professional-grade scheduling tools like Gantt chart software. Many basic products won’t display your project plans in a Gantt chart format and will simply show you a list of tasks. While that might be OK for very small projects with a tiny team, as soon as you start to manage anything even a little bit complicated you’ll need more than that, so look for it now. A task list is the start of all Gantt charts, so you’ll need task management features too. This should also include the ability to assign tasks to others in the team so that they know what work they should focus on. You should be able to order tasks in ways that make sense to you. That means grouping them together and adding target completion dates. The ability to send out email alerts to the person responsible for completing the work is another bonus! Sharing your plans and tasks with team members in your company is one thing; however also look for the functionality which makes project data available to people outside your business. This is especially useful when it comes to working with contractors and third parties. It’s also another reason why cloud-based online software is so popular and effective. Save yourself some time by finding a product that has real-time reporting. This will pull data from various different areas of the project management software and use it to produce reports that reflect the current status of the project. While we’re on the subject of reports, something that will show your reports in a graphical format is often handy. It might not be the deciding factor when it comes to choosing a tool, but in my experience many stakeholders and sponsors respond best to dashboards and charts over written reports. Look for a tool that has built-in dashboards that can be tailored for each stakeholder. Functionality is all well and good, but if your data isn’t safe then the integrity of your project isn’t either. Check out the security options offered by your preferred software provider. If they are hosting your software online, make sure they have 128-bit encryption. Use a separate dedicated hosting platform to keep your customer data safe and secure from everyone else’s. There are so many tools out there, but some look quite old-fashioned. Your primary criteria for choosing a software product should really be functionality. However it doesn’t hurt to go for something that looks attractive. You’ll like using it and your colleagues will think you are cutting edge! Lots of reports out of the box feature is great, but it’s even better to have the ability to customize your experience with custom exports and fields. You should be able to make small changes to the look of the tool to let it reflect your own working preferences. Some will let you upload logos, change colors and so on. The most important areas for customization are reports and data columns. These give you flexibility in how you want to show information to your stakeholders. In turn, providing you knowledge about what needs to be managed on the project. Finally, look out for a project management product that includes time-sheets. These might not be a popular choice with your team but they will help you keep track of tasks. They provide early warnings about delays and also let you check the validity of your task estimates. Go for a product that makes it easy for your team to complete their time-sheets. For example, one that lets you copy the tasks and activities from the previous week. These are my top 10 recommendations for product features. You can decide which of them are most important for you, and select your project management software based on those criteria. There are so many products to choose from that it’s important to make the right choice for you and your team. So, take your time and test your shortlisted software before making a final decision. 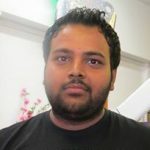 This article was provided by Gulit Upadhyay, a digital marketing engineer at ProductDossier.com, a company dedicated to providing great project management software so that you achieve business excellence. Next story Backing up Business Data to the Cloud – A Good Option?